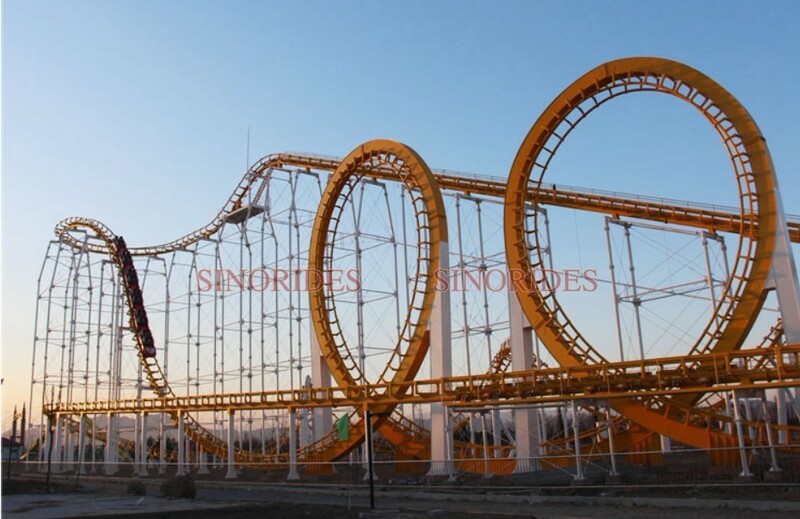 Standard export package for Thrilling landmark amusement park rides large size 16/20 24 seats roller coaster for sale. 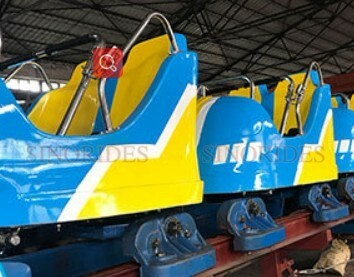 Steel frame and wooden box for 16/2024 seats roller coaster for sale. 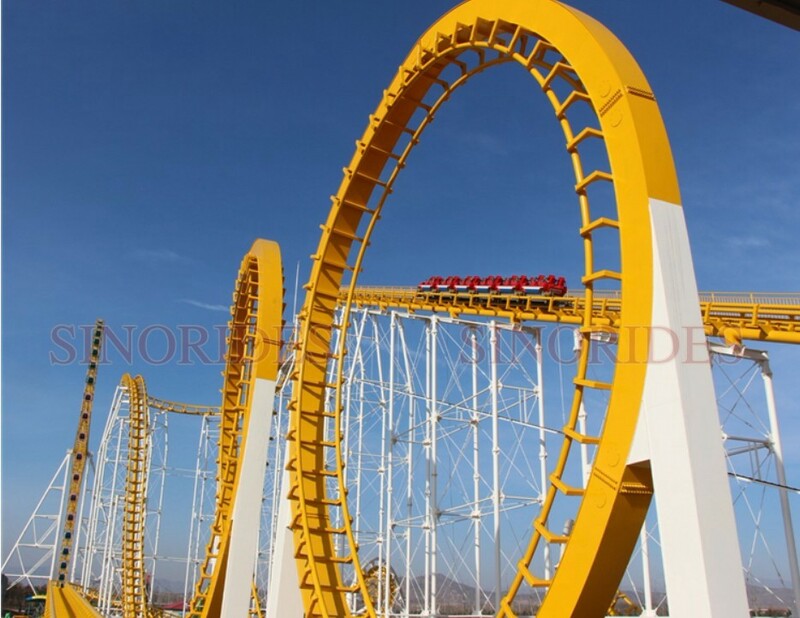 Roller coaster is a very exciting amusement which is popular for young. 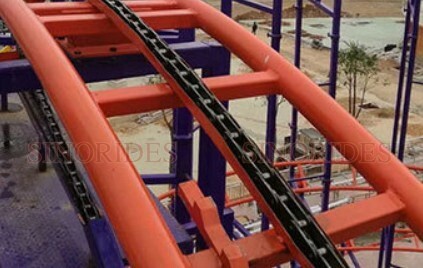 It is a new coaster ride that slides along special aerial railway. 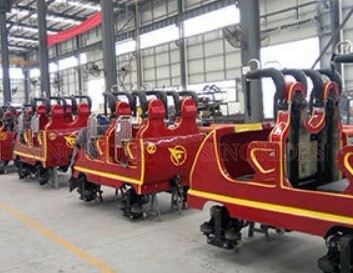 Its railway is powered by two groups of motility and supports coaster sliding by frictional drive. Undulant degree and speed of this ride is especially comfortable for children aged at four and elder. Should you have any questions, please feel free to contact me at anytime! I'm glad to help you with your business. 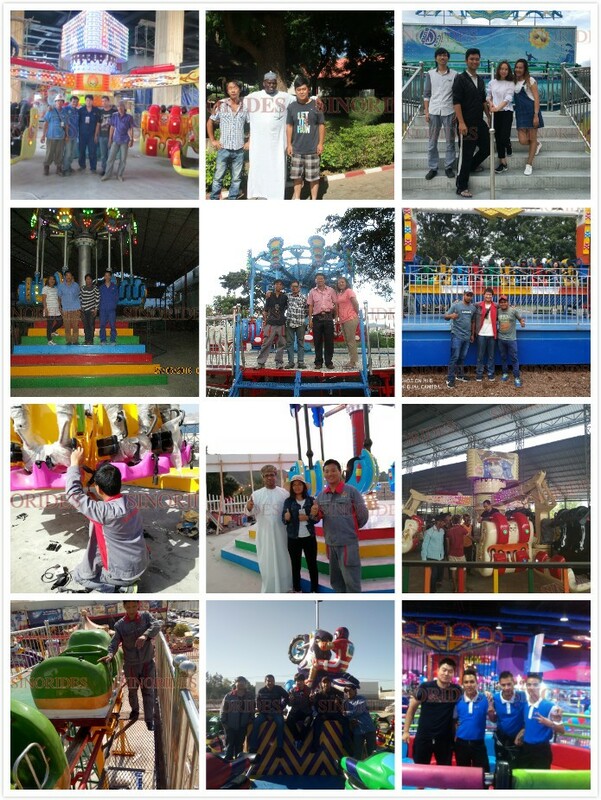 Henan Swonder Amusement Rides Co., Ltd (briefly named Sinorides) is a professional manufacturer of amusement rides as well as a provider of amusement project plans. 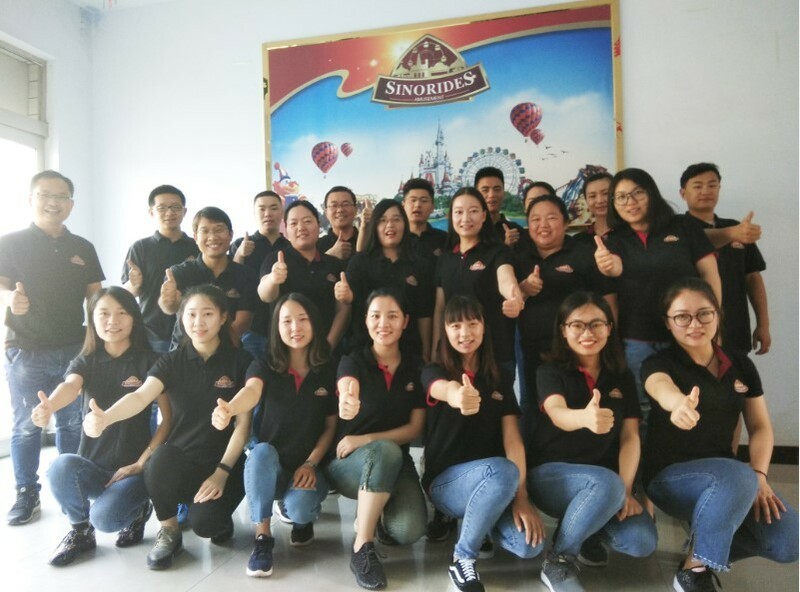 Since founded in 1992, Sinorides has been devoting itself to the production and creation of amusement rides for over 20 years. 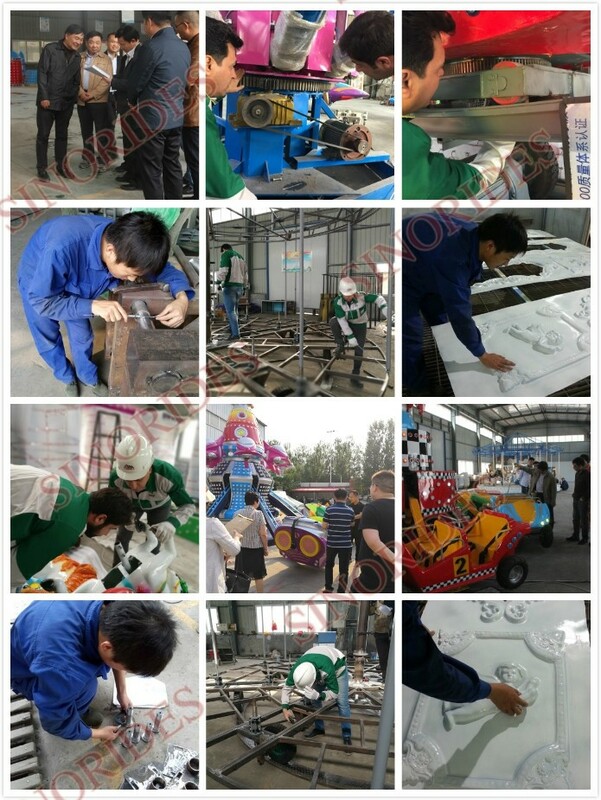 Now our company has over 10000 sqm workshops and approx. 100 direct employees, including 20 senior engineers and designers. Sinorides has become one of the best amusement rides manufacturers in China after a long-term stable development. 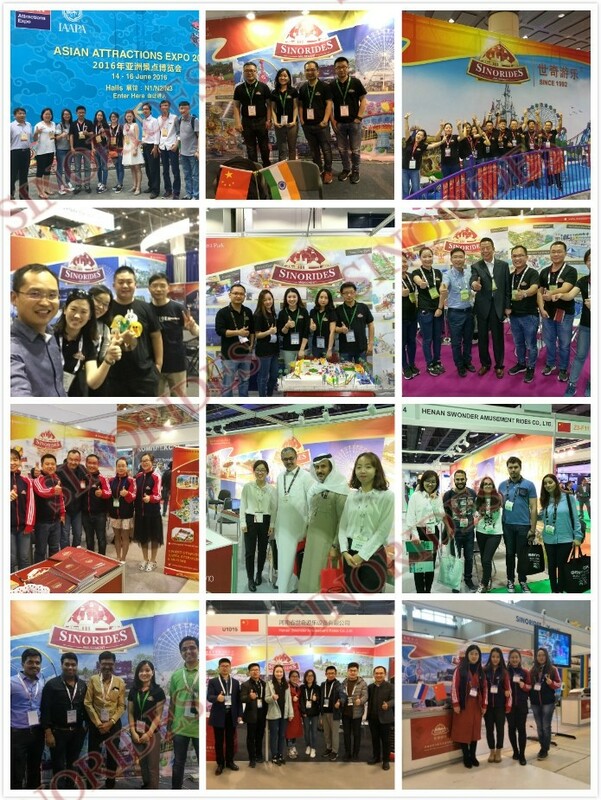 In addition, our company is also the perennial member of CAAPA and IAAPA. 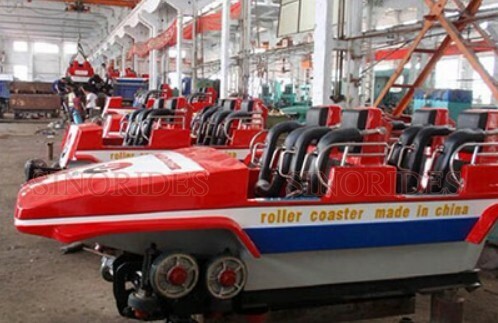 On the basis of providing high quality products of amusement rides, Sinorides, meanwhile, helps clients make plans on setting up amusement parks. 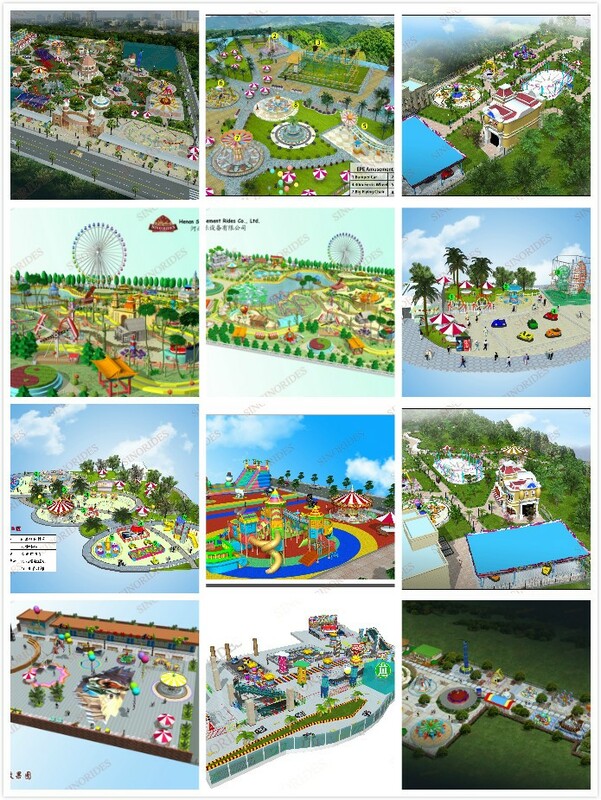 The proposal on the whole amusement park consultations Sinorides offers for investors includes: investment analysis report of amusement park project, park layouts and designs, procurement of amusement rides, park management system, after-sales supply, and etc. 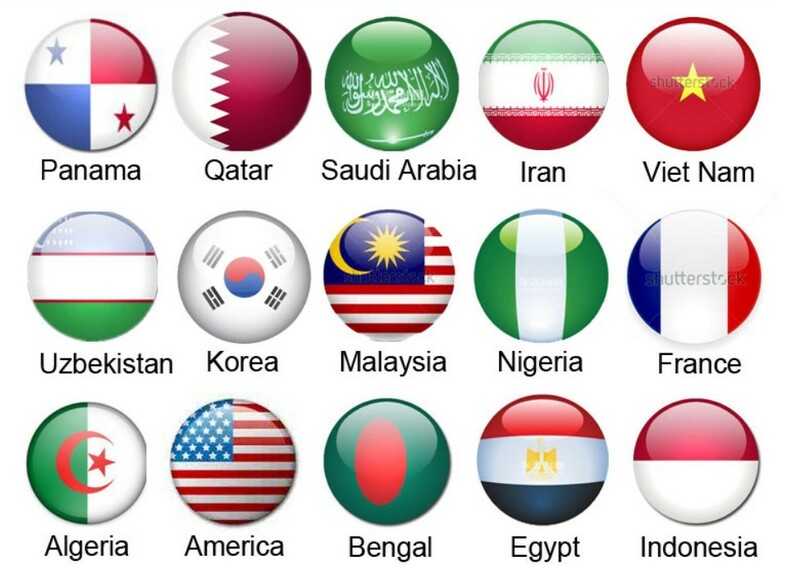 Our sales travel all around the world to catch trends and to stay as close as possible to our customers. Every sales are improving themselves every day so we could offer you suggestions on many aspects. 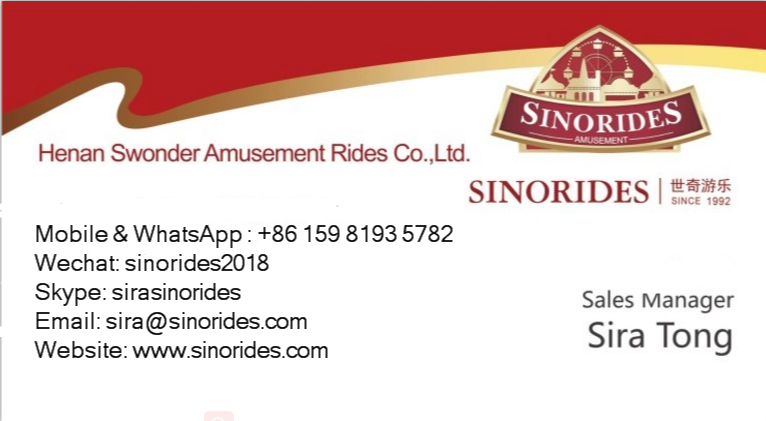 Sinorides experienced design staff can work shoulder to shoulder with your team to design a ride package and park layout. With many years of experience and customers, we're able to offer you advice on your operation of parks. 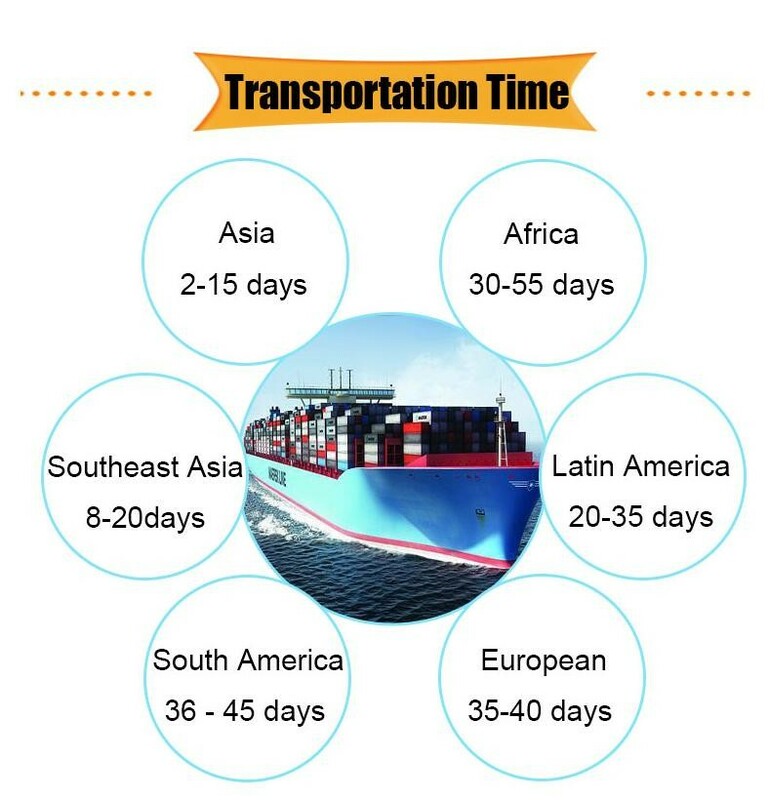 Over 6 years experience for export business, products sold to 5 continents, more than 30 countries, For Example: USA, UK, Argentina, UAE, Algeria, Indonesia, Australia, Russia, etc. 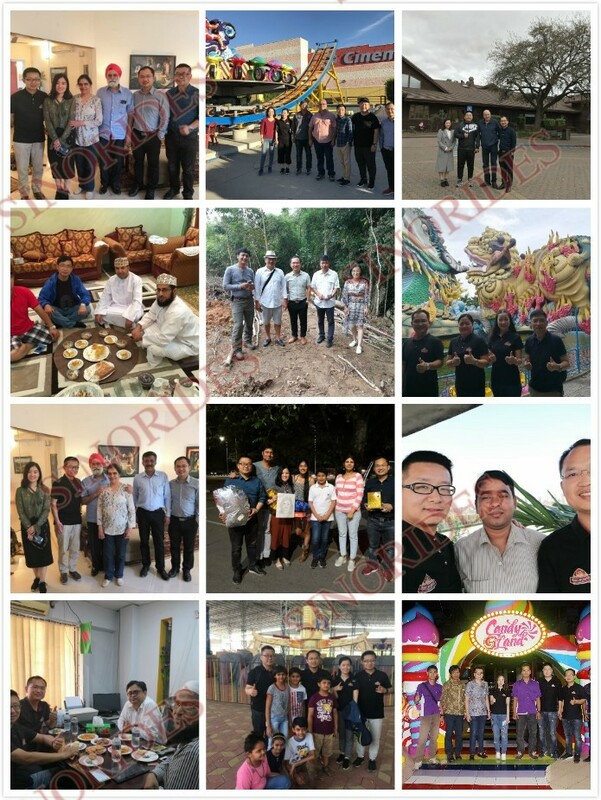 Each year we will visit our customers to bring them new ideas about amusement park and offer assistance on their operation. 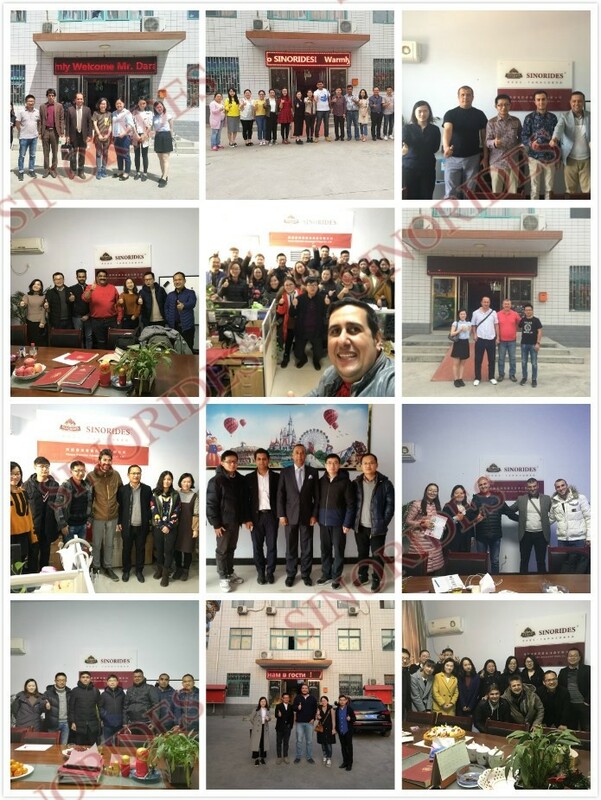 We're thankful for our beloved customers, appreciate that you gave us a high evaluation on our quality, team and service. 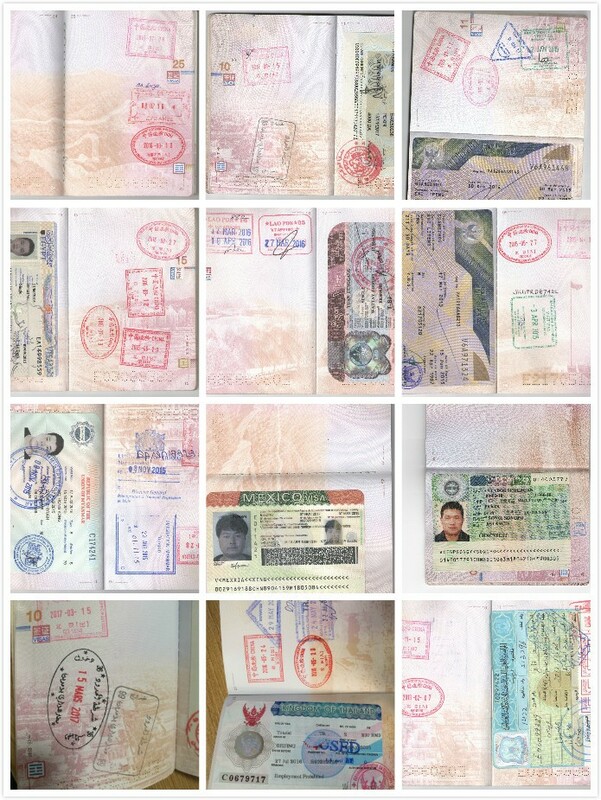 Every year, every Sinorides person has the chance to go abroad for expos to open our mind. 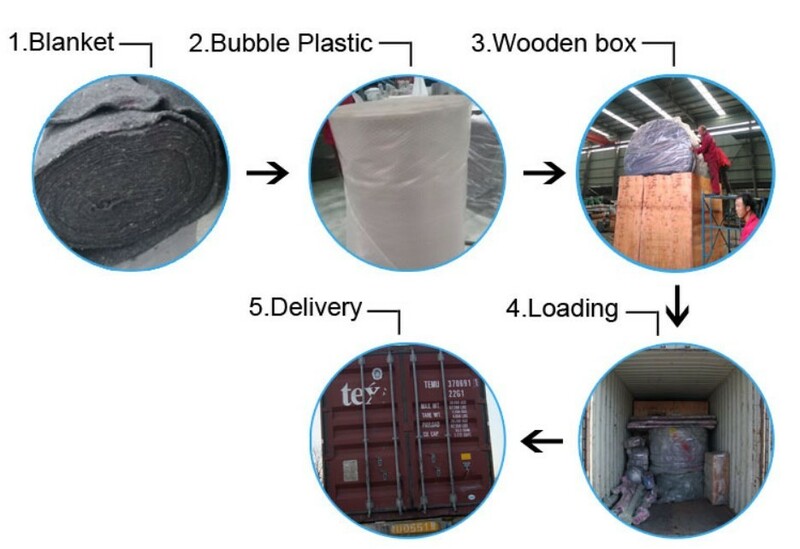 Each part of rides will be inspected carefully to make sure our rides is perfect before package. 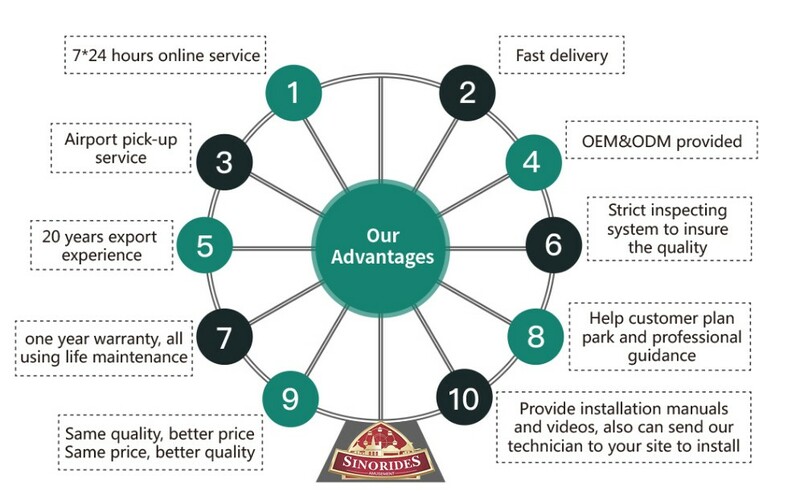 Sinorides offer you after-sale installation service, our engineers will help you to build up rides and test them until the end of soft opening. 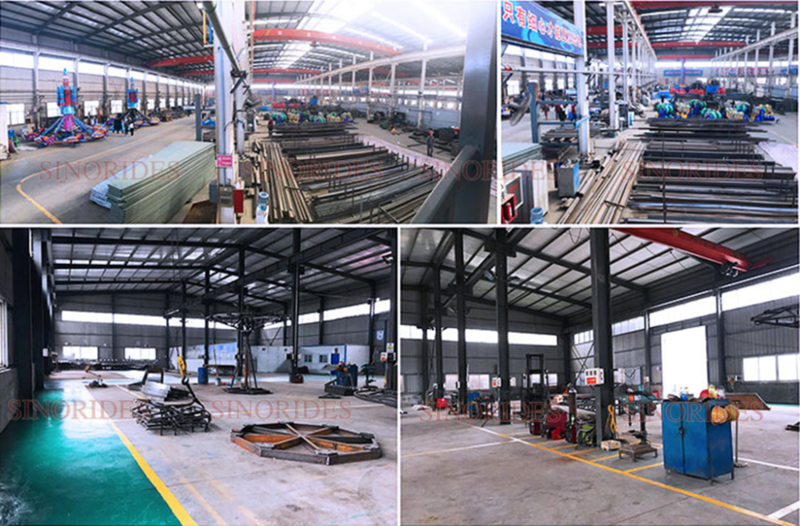 Sinorides engineers have many years of abroad installation experience, they always have a good relationship with our customers on site.